Dr. Kris Dailey is a 1996 graduate of UC Davis. She has an interest in reptiles and small mammals as well as integrative medicine. She and her husband Jim Beaulieu, care for a diverse collection of much loved animals including dogs, cats, horses, rats and chickens, as well as two human "puppies". Dr. Dailey's interest in integrative veterinary medicine was fueled by her personal experiences with non traditional therapies. Her own benefit from chiropractic, acupuncture, and herbal medicine is what has driven her to expand on the medical knowledge she gained in veterinary school. 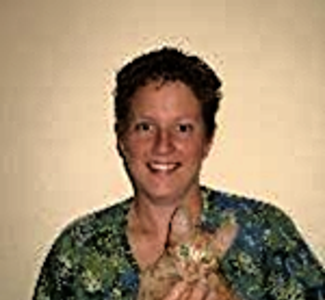 She is now a long time practitioner of integrative veterinary care for animals. She is certified in small animal VOM chiropractic techniques and laser therapy. Dr. Dailey earned her certification in veterinary acupuncture, Chinese herbal medicine, and Chinese food therapy from the Chi Institute. When asked why she was attracted to veterinary medicine, she says, "Living and working with animals is a lifestyle I enjoy. Working to create an environment with such a unique approach to animal health is exciting."